Last Friday, the Baltimore Museum of Art announced it plans to deaccession seven works by white male artists, including Andy Warhol and Robert Rauschenberg, in order to make room for more art by contemporary female artists and artists of color. Unlike many other current news stories about deaccessioning art, this one is not yet tainted with controversy and has been approved by the American Alliance of Museums. Five of the seven pieces of art will be auctioned next month by Sotheby’s. The other two will be put up for private sale. Bedford has spoken often of the necessity of ensuring that museums reflect the population of the cities in which they are located. 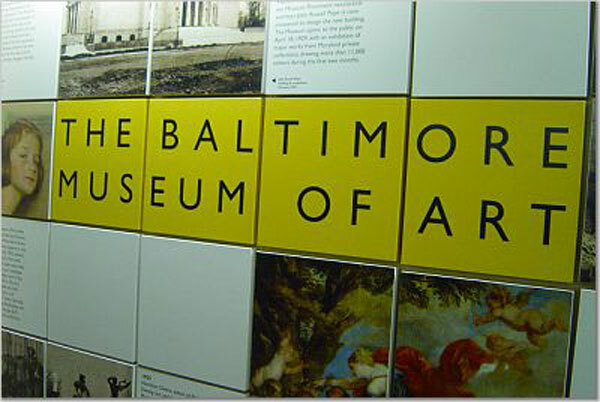 Though the city of Baltimore is 63.7 percent black, according to 2010 census data, its flagship contemporary museum owns relatively few artworks by African American artists. The museum also announced that its trustees have approved the acquisition of nine works by six contemporary artists, four of whom are Black, reinforcing a commitment to better balance the collection. In 2014 and 2015, the Delaware Museum of Art sold off some well-known pieces to pay off significant debt and renew its endowment fund. While the strategy was financially successful, the museum was sanctioned by AAMD and lost its certification. This month, after a protracted legal battle, the Berkshire Museum was granted permission to move forward with selling 40 works of art in order to raise funds to keep the museum open and maintain its outreach programs. And, just this week, 46 works from the LaSalle University Museum of Art are scheduled to be auctioned at Christie’s, causing turmoil among faculty, staff and students. The proceeds from this sale are intended to raise funds for the university’s overall strategic and capital plans, but not for the museum itself. The decision to sell these pieces—and the way in which it was undertaken—has drawn harsh criticism from the arts community. There is already a clear consensus in our field that it is ethically wrong to use collections as a cash reserve (raiding the “deaccession cookie jar,” as Stephen Weil dubbed it in 1992). Field-wide standards codify Weil’s position, and the field has created a framework to support nuanced, ethical decisions regarding the use of funds from deaccessioning. But despite this consensus, every year it seems we read about a museum using or being pressured to use the sale of collections as a way to address financial needs. This happens for a variety of reasons. Some people simply disagree with the ethics standards. Some agree philosophically but feel they are faced with the choice of selling collections or closing the museum. How can we as a field provide museums with other, better choices?